As I’ve been researching the art of ancient Crete and Mycenae, I came across a lot of seal impressions that depict scenes from everyday life. 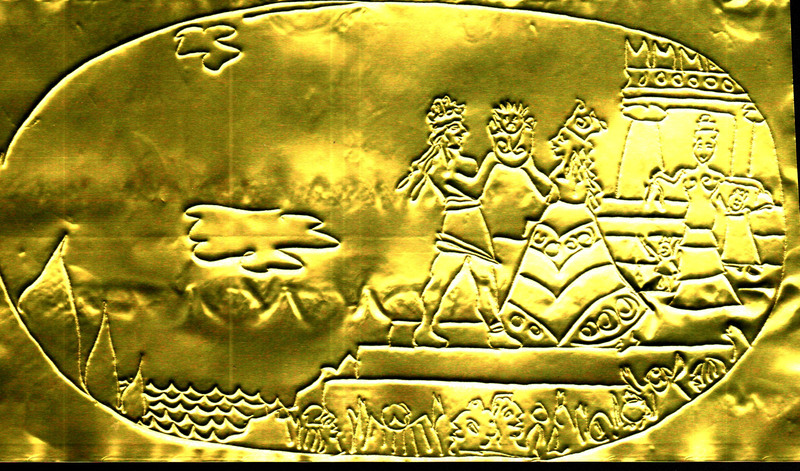 I’ve always enjoyed creating decorative art, especially floor cloths and decorated pots, so I decided … WHAT IF I had discovered a Minoan gold seal that told the story of my scene? Annina that is too cool! Annina, That’s a terrific idea! Super original. What fun! The details are great.